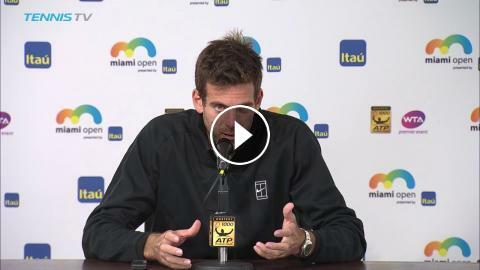 Juan Martin del Potro says he wants to back up his Indian Wells title with a deep run in Miami following his third-round win over Kei Nishikori. Watch live matches at TennisTV.com. "We never go down. We stay strong." Will Gronk stay with the Patriots? Who will last longer as the starting QB - Tyrod Taylor or Sam Bradford? How much longer will New England Patriots quarterback Tom Brady play? [Golf with Aimee] Driver Lesson 033: Use Abs to Drive it Longer!